For the first time ever I had to take my son Janos to concerts with me, because his mother has some on her own somewhere near Miami. At least he is an experienced world traveller: his first trip came at the tender age of 10 weeks from New York to Puerto Rico, where his grandfather had some serious heart problems. For him the 16-hour travel (door to door) from Berlin to Vancouver was a piece of cake. Loaded with homework from school we started this exciting father-son adventure. First thing upon our arrival was a visit to the gym and the pool, after which we fell into our bed like stones. I love this feeling of complete emptiness after having travelled into a completely different timezone (9 hours difference), and then sleeping for 12 hours is the most refreshing and cleansing experience. You see, being on tour can be more entertaining than one would think from the outside, even though I will squeeze some hours of serious practicing in today! i was at the concert today and your performance was the high-light!! Thank you for the encore and come back to Vancouver soon!!! Thanks for the flowers, Kyungji – and sorry for having missed you; the conductor told me there were a few young cellist afterwards looking for me – I went back to the hotel straight away, because my little man was alone, sleeping. Now we are off to Whistler! Best wishes and yes, I hope to come back soon to this very beautiful city of Vancouver! 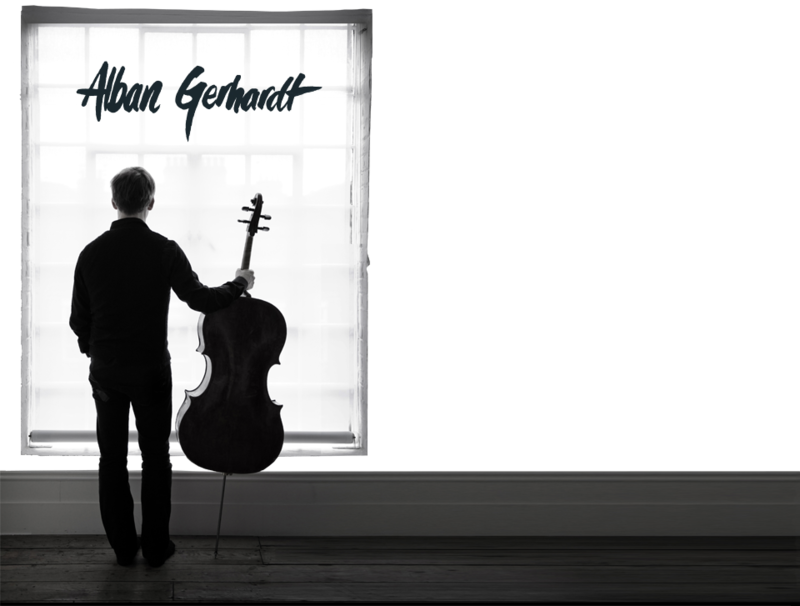 It would be interesting to read a blog entry with more information about the recording (and something about the works themselves, since the Dietrich and Gersheim concerti presumably are not familiar to many people). Attended your concert tonight – what a performance! Loved your encore piece. Hope you enjoyed Whistler yesterday. Vancouver is best during the summer. oh yes, we enjoyed Whistler very much, except the fact that I am absolutely dead by now; I was one of the first at the gondula at 8:30 am, skied for two hours on my own (Janos didn’t feel like going so early, so he did his homework in the hotel), then I picked him up and we had a wonderful time together until 2 pm. In the morning there was heavy snow and fog, which made it rather risky, and I am happy nothing happened (I saw myself already walking on stage with a broken leg – did this once with a sprained food, after playing soccer…). But once Janos joined me it was just perfect; the snow was unbelievable and it broke our hearts to leave already after only two days of skiing. We got back into town at 4:30, returned the car, slept a bit, practiced a bit, and then another Shostakovich…. Glad you liked it, and I hope I can come back in two winters, then I will bring more time to go skiing!!! I saw your Monday performance of the Shostakovich with VSO. You are sooo amazing! How did you have the energy to play such a huge concerto after skiing all day? I’ve never been able to play after I spend the day riding because I’m always exhausted. Anyway, the concert was amazing and I’m so glad that you liked Whistler. Please come back to Vancouver!!! P.S. There’s a really fantastic glacier on Blackcomb. It’s a short hike past one of the lifts, but totally rewarding when it’s full of powder! I hope to be back soon, loved Vancouver and Whistler, and will try the glacier on Blackcomb for sure next time! I was playing in the violin section last week in Vancouver. It was incredible to work with you. People in the orchestra were amazed that you had the stamina to play the Ligeti encore after the Shostakovich – if only they had all known that you had just arrived back from Whistler. Wow. Come back again soon – and bring Hannu Lintu with you next time as well! But thanks for your nice words, and I would love to come back, loved the work with the VSO and Hannu, great experience indeed! Give my best to everybody there, and happy skiing! You should remember that although you felt like you were playing on the edge and maybe you weren’t completely happy with the Ligeti, you were still fantastic. Even if it wasn’t perfectly clean playing, your idea of a bad day or a sub-par performance remains very impressive to the rest of us. I heard a story about Heifetz where he once allegedly actually made a mistake, and someone interviewing him made a big deal out of it. His reply was, “but did you notice how beautiful the phrase after that mistake was?” Similarly, last season a very famous musician played with the VSO and got lost in the encore for about a bar or two. That was a rather bad moment but in the end, I don’t think it negatively impacted the performance overall very much because the rest of the playing was brilliant. So… don’t be too hard on yourself! It was great to hear the Ligeti and I think any difference that you felt in your own playing was probably amplified in your mind far beyond what it really was. Just keep on enjoying every performace!